It cannot be emphasised and reiterated enough that anabolic steroids are, for all intents and purposes, Testosterone. The common individual who is uneducated on the matter has been convinced by the mass media and the government that anabolic steroids are some sort of strange, artificially invented unnatural obscure chemicals that are extremely dangerous and very foreign to the human body. 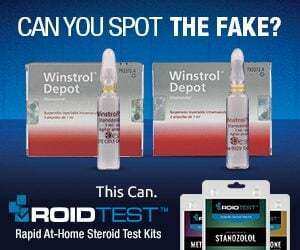 This could not be any further from the truth, as anabolic steroids are very natural organic compounds that are manufactured by the human body. They are not an ‘invention’, nor are they obscure chemicals that are foreign to the human body. Technically, all anabolic steroids could be considered Testosterone steroids. The basic framework behind the field of anabolic steroids (both chemistry-related as well as biology-related) is that all anabolic steroids are modifications and/or derivatives and analogues of the male hormone Testosterone. Although most anabolic steroids are modifications of Testosterone, which essentially create new and different anabolic steroids, their roots can all be traced back to Testosterone as being the ‘father’ of all anabolic steroids. Without Testosterone, no other anabolic steroids would exist, and it therefore stands to reason that Testosterone is the original parent or progenitor anabolic steroid hormone. Although Testosterone is not the only anabolic steroid naturally endogenously manufactured by the human body, it is still the original anabolic steroid hormone. There exist two other endogenously manufactured anabolic steroids: Nandrolone and Dihydrotestosterone (DHT). Both are natural byproducts of metabolism in the human body, but Testosterone must first be present for these two other natural steroids to exist. Nandrolone is synthesized in very small amounts as a byproduct result of aromatization, which is the conversion of Testosterone into Estrogen. Dihydrotestosterone is a direct metabolite of Testosterone itself, which the enzyme 5-alpha reductase (5AR) is responsible for. The 5AR enzyme is present in high concentrations in various tissues in the body, and converts (reduces) Testosterone into Dihydrotestosterone as it passes through these tissues. Both of these (Nandrolone and Dihydrotestosterone) could be informally considered Testosterone steroids. Without Testosterone to begin with, neither of them would exist. Testosterone was officially discovered, isolated, and synthesized in the 1930s by a German scientist by the name of Adolf Butenandt and his colleagues. It was very shortly afterwards that Nandrolone and Dihydrotestosterone were both discovered, isolated, and synthesized as well. The Synthetic derivatives previously mentioned were to come later on in the 1950s. Upon first discovery of Testosterone in the 1930s, it was a curiosity and a marvel among the medical and scientific establishment. The potential, capability, and limits of this newly discovered compound were completely unknown and this was new uncharted territory for science and medicine. The scientific community slowly applied Testosterone in a medical setting and performed tests on it, resulting in discoveries about its properties and capabilities. 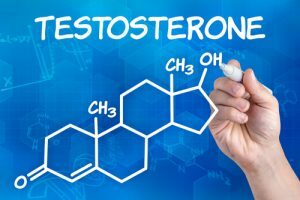 At the time during the 1930s and 1940s, only the colloquial ‘tip of the iceberg’ was being discovered concerning Testosterone steroids, but what had been discovered thus far up until that point amazed researchers and doctors. There were a few problems and limitations with these Testosterone steroids, however. The first major issue was that of administration. Testosterone alone without any modifications expressed a very short half-life within the human body after administration. The very first formats of Testosterone were also very crude, inconvenient, and too impractical for comfortable use and administration. Testosterone suspension was the very first of the Testosterone steroids to be used, which was simply bare bones Testosterone suspended in microcrystals in water. 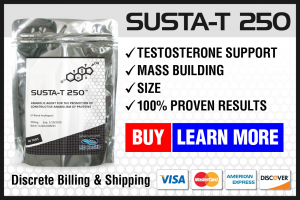 Although still available today, it has long since lost its popularity due to much more convenient and advanced Testosterone steroids preparations that were later developed. Testosterone suspension was a very painful injectable Testosterone product that had to be administered on a daily (or even multiple daily) basis. This is because Testosterone on its own exhibits a half-life of only several hours in the human body (approximately 12 – 24 hours or slightly longer). There exist many, many more esterified variants of Testosterone (such as Testosterone Acetate, Testosterone Isocaproate, and many others) but the most popular three currently in use by bodybuilders, athletes, and the medical establishment alike are: Testosterone Enanthate, Testosterone Cypionate, and Testosterone Propionate. All esterified variants of Testosterone are what could be considered true Testosterone steroids. There still existed one additional hurdle for scientists to overcome, however. That was the issue of Testosterone being ineffective when administered orally. Anabolic steroid hormones, for the most part, exhibit extremely poor oral bioavailability. Although a small percentage does survive liver metabolism to make it to the bloodstream when ingested orally, the vast majority of it does not. 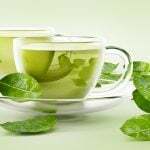 This presented an issue, as it was not very cost effective to have people ingest massive amounts of Testosterone orally in order to experience any therapeutic benefits. It must be injected. However, a modification was discovered in 1935 that would allow Testosterone to be able to successfully resist liver metabolism and enter the bloodstream. That modification is known as methylation (also known as C17-alpha alkylation). C17-alpha alkylation (C17-alpha methylation) is a process whereby a methyl group is bound on to carbon number 17 (properly referred to as carbon 17-alpha) on the steroid structure of Testosterone. 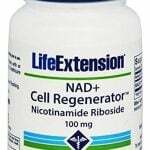 This allows the hormone to highly resist enzymatic breakdown in the liver so that it may reach the bloodstream to do its job. 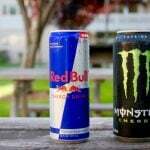 The negative effect of this modification is that it results in varying degrees of increased liver stress and toxicity (ranging from negligible to major, depending on the anabolic steroid in question). Methyltestosterone was the very first oral androgen to be utilised in a clinical setting, and as its name implies, is a methylated form of Testosterone. The methylation of Testosterone also granted it more potency and made it a stronger anabolic steroid than non-methylated Testosterone. The problem with Methyltestosterone as one of the very first oral Testosterone steroids was that it exhibited a high rate of aromatisation into Estrogen, and the amount of hepatotoxicity (liver toxicity) it induced was not very practical for a medical and clinical setting that might require prolonged administration of it (6 weeks or longer). It was the very first anabolic steroid linked to liver damage, although it demonstrated acceptable safety in clinical settings under appropriate doses. Methyltestosterone as one of the Testosterone steroids is not in wide use today, and quickly fell out of popularity shortly after its inception. However, what followed was the creation of whole brand new synthetic analogues of Testosterone, with the very first officially being Dianabol (Methandrostenolone). The development of Dianabol sparked what was known as the anabolic steroid development boom, which was an effort made by governments and pharmaceutical corporations to tweak and modify Testosterone’s chemical structure with the goal of creating the perfect anabolic steroid, and/or creating an anabolic steroid that could be stronger in particular areas of effect and weaker in others. 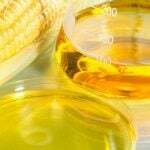 Such an endeavor was characterised by actual modifications to the integral areas of the chemical structure of Testosterone, Nandrolone, and Dihydrotestosterone. This is very different from the previously mentioned minor modifications of attaching a carboxylic acid, which merely alters the release rate and half-life of the hormone in the body. Actual modifications (such as the removal of a carbon or the addition of a chlorine atom, hydrogen atom, or whole functional groups) would result in an actual pharmacological change to the parent hormone being modified. 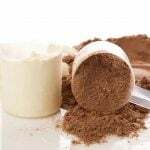 Such modifications would result not only in changes in release rate and half-life, but the effective anabolic, androgenic, and/or estrogenic strength of the compound. Hence why these can only informally be referred to as Testosterone steroids, but should be properly and formally referred to as completely separate and new anabolic steroid derivatives. For example, Dianabol (Methandrostenolone) is a modified analogue of Equipoise (Boldenone), which actually happens to be a direct derivative of Testosterone by way of the removal of hydrogen atoms from carbons 1 and 2, and those hydrogen atoms replaced by double-bonds being added between carbons 1 and 2. Dianabol is a further modification of Equipoise by the addition of a methyl group onto carbon 17 (C17-alpha alkylation). The reality is that although Equipoise/Boldenone is a modified variant of Testosterone, it behaves nothing like Testosterone (and thus becomes its own anabolic steroid, Boldenone). Although Dianabol/Methandrostenolone is a modified analogue of Boldenone, it behaves nothing like Boldenone (and unlike Boldenone, it can be ingested orally). Bodybuilders and athletes utilize Testosterone steroids as the base components of any anabolic steroid cycle. On top of those Testosterone steroids (such as Testosterone Propionate, Enanthate, and Cypionate), synthetic analogues are then stacked with those in order to amplify the effect of the cycle and assist the user in achieving specific goals. For example, an anabolic steroid user looking to bulk up and gain lots of mass and strength would typically run Testosterone steroids and other anabolic steroid variants that are best suited towards such a goal. An example of this would be a cycle of Testosterone Enanthate with Dianabol and Deca Durabolin (Nandrolone Decanoate). Such a cycle is a classic anabolic steroid ‘stack’ designed specifically for bulking up. A cutting cycle involving Testosterone steroids and other anabolic steroid analogues best suited for such a goal would be, for example, Testosterone Propionate stacked with Winstrol (Stanozolol) and Trenbolone. Such anabolic steroids are suited towards maintaining a very lean physique with little water retention. The reason as to why such anabolic steroid cycle stacks assist a user towards a more specific goal (such as fat loss) is due to the different modifications upon the chemical structure of said anabolic steroids, which result in increased or altered characteristics that favor such goals.